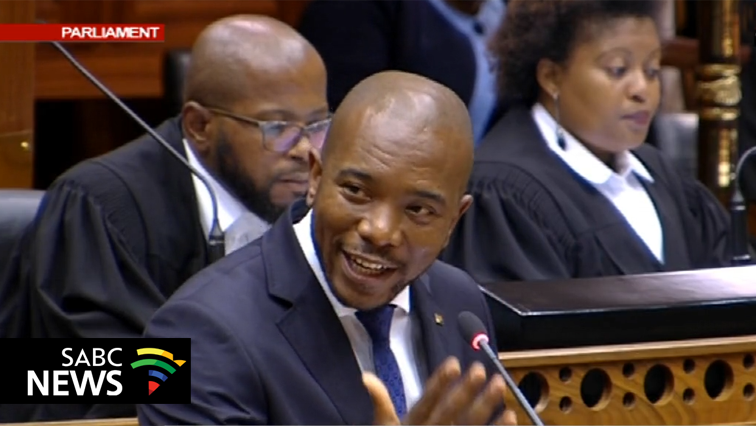 SONA now stands for State of No Action: Maimane - SABC News - Breaking news, special reports, world, business, sport coverage of all South African current events. Africa's news leader. Mmusi Maimane says the President Cyril Ramaphosa is not in control of the ANC. He was speaking in parliament during the debate on President Cyril Ramaphosa’s State of the Nation Address that he delivered last week. South Africa remains in the grip of stage three loadshedding following the tripping of seven power stations. Six of the seven generators are back online and the last one is expected to be brought back online later on Tuesday afternoon. “Under the ANC, SONA now stands for the state of no action. We are a state of big promises, we are a state of commissions, we are a state of task teams, and we are a state of roadshows for every possible problem. But when it actually comes to doing the hard work, we are a state of no action,” says Maimane. Maimane says the President Ramaphosa is not in control of the ANC, which the DA leader says is riven with corruption and greed. He adds that Ramaphosa frequently travels overseas to escape the obstruction of ANC factions back home. “Mr President, it’s very clear, it’s them who are in charge – that’s why you love spending time overseas – because there the ANC is not around. When you are in Davos and being interviewed by foreign press, you can say anything you like. But when you come back home, ke ANC ya bo (it’s the ANC of) Mabuza, Mahumapelo, Magashule. That’s the ANC that’s in charge,” says Maimane. Maimane says Ramaphosa’s leadership has failed the country – comparing it to that of former President Jacob Zuma. “Mr President, if you cannot remove the corrupt from your own cabinet from the Bosasa benches, then how dare do we as South Africans believe you when you say you’re cleaning up government. Even you and your own son benefitted from Bosasa,” says Maimane. This entry was posted on 12 Feb 2019,04:10PM at 4:10 PM and is filed under SONA, Politics, News, Homepage Latest Stories Slider, Homepage Featured Story Slider. You can follow any responses to this entry through the RSS 2.0 feed. Both comments and pings are currently closed.